Thermoshield Wall Coats can be applied to both interior and exterior walls. 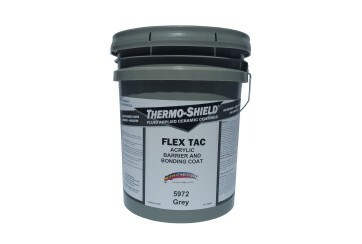 When the flexible, water-based coating dries, it creates a seamless membrane that works as both an insulator and waterproofer. 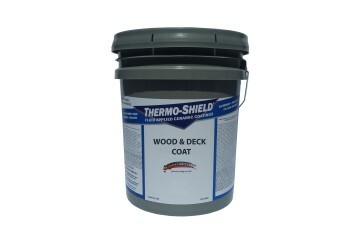 The Thermoshield formula is non-toxic, so it is completely environmentally friendly and safe to use anywhere. The wall coats are made from an acrylic resin and filled with vacuumed ceramic microspheres. This compound is an efficient insulator that helps keep interior temperatures consistent while also protecting the structure from exterior conditions. 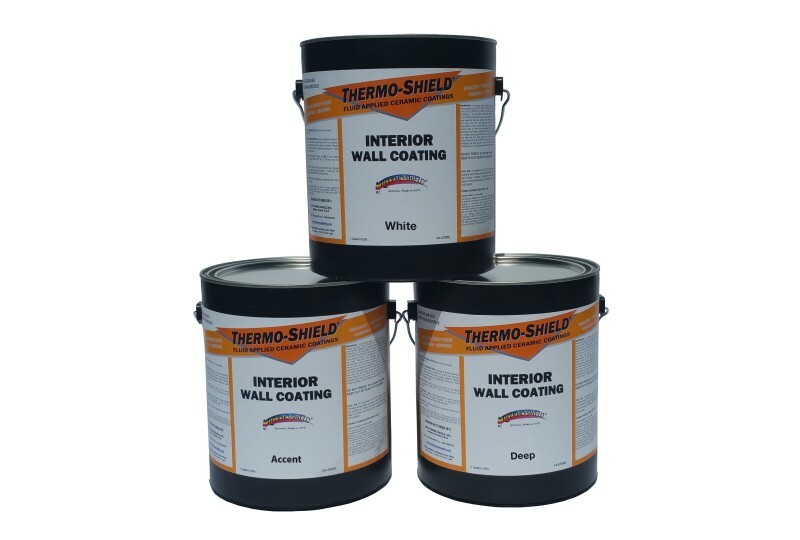 The protection offered by Thermoshield Wall Coats goes beyond climate control. 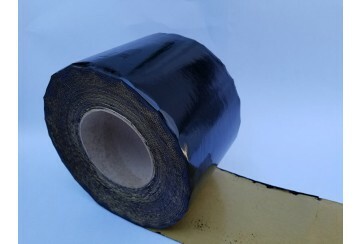 The seamless membrane does not absorb dirt or chemicals, it is fire resistant and it reduces noise pollution. The coating can be applied easily with a sprayer or roller. It comes in a variety of tints and, when dry, it creates an attractive matte finish that is easy to clean. Thermoshield Wall Coats have “variable permeability.” This is an especially important trait for exterior wall coats. Variable permeability means that the membrane becomes water tight when saturated, but “breathes away” trapped water as it dries. This trait is also helpful for reducing condensation build-up. 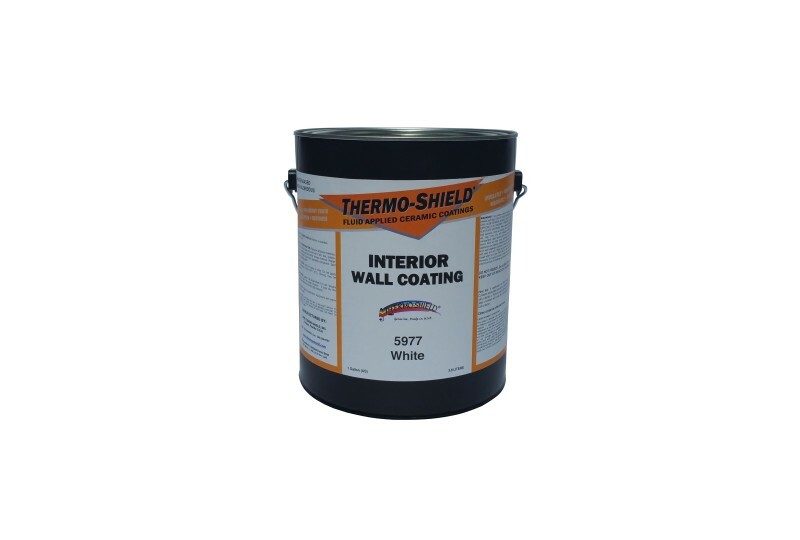 Exterior wall coats can be applied to concrete, metal, wood, and polymerized surfaces. Interior wall coats can be used in both residential and commercial settings. Standard exterior coating is ideal for most climates. 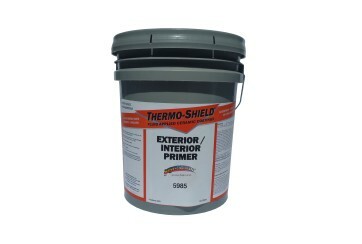 In addition to fire resistance, it offers resistance to chemicals including road salt, acids, and petroleum products. 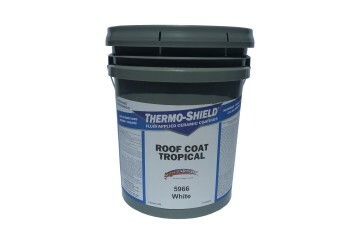 Tropical exterior coating provides the same benefits as standard coating, but it also protects against fungus growth. Tropical interior coating has the same traits as standard interior coating, but it also works to keep fungus from growing. Statistics Reflectance 89%, Emittance 94%, Conductance 0.06 W/mK. Standard insulation products do not stop heat from entering or leaving a structure, they simply slow down the process. Thermoshield actually keeps the heat out. Solar gain (heat from sunlight) only occurs when the heat is absorbed by the surface. Wall Coats reflect most of the sunlight, emitting it back into the air instead of absorbing it. is not reflected away is not passed into the building. Primer is not required except when the coating is being applied to gypsum board. Surface preparation: The surface must be cleaned of all dirt, dust, oil, rust and chipped or loose paint. Methods: To assure adequate and uniform coverage, the “spray and back roll” techniques are recommended. Do not cross spray - each coat should be sprayed in the same direction to avoid showing undulations and other imperfections in the walls. Thermoshield® Interior Wall Coats should be applied in full wet coats. Roller or airless paint sprayer recommended. Very small areas may be brushed.When applied by brush, three coats, cross-brushed, is required for adequate protection. Prime pump with water before attempting to spray Thermoshield® Interior Wall Coat. Acceptable equipment includes: Binks Super Hornet, Graco 433 or larger, and many others. Thinning is not required, though 0.24 litre (one cup) of water may be added to replace evaporation loss or to adjust consistency for paint sprayer. Packaging options: five gallon pails or 55 gallon drums. Store between 1 degrees C (33.8 degrees F) and 30 degrees C (86 degrees F). Coatings are not flammable, but do not allow to freeze. This product comes with a 10 year warranty. The sole remedy for goods not in conformance with any warranty is replacement of the product. Thermoshield shall not be liable for any other damages, including, but not limited to, labor expenses.